India’s largest crowdfunding site. Over $78.1 Million raised. Imagine a world where education is perceived to be so interesting as a hobby, a world where understanding is spontaneous, instant and perfect and a world where education is chosen voluntarily rather than as a forced duty. This world is neither an imagination anymore nor in a distant future but an eventual reality. We, here in LMES, are striving towards making this a reality today. Only those things we understand, interest us. Be it sports, music or any other hobby. Education is no exception and understanding is the primary quality of it. Off late, education appears to have lost it and we are here to restore this quality. How do we do that? It’s simple since there is only one way out there to make it possible, “application oriented learning” which is the natural way to learn. For instance, you watch a person driving a car real fast. A deer happens to jump on his way and he applies brakes suddenly. What happens next? Would this experiment teach you inertia (Newton’s second law of motion) better or a white board dumped with equations? An equation is just a mathematical representation of a phenomenon and hence, beginning our learning from observing a phenomenon in its natural state and work our way down to equations is the right and only way to learn. Why do we need your help? We have been producing educational videos over the past 2 years promoting application based learning which is the only way to get our basics right. The overwhelming response from viewers makes us strongly believe that this is working and it’s time to take the next big step towards making India a great place for innovation and research. We have laid down plans to do more high quality application based educational videos on a large scale and in a more professional way. In the near future, we will be working on explaining science and math concepts from class 6 to 12 and eventually progress towards covering engineering and arts college subjects. We will be working with schools to include our contents as part of their curriculum (or co-curriculum) so that application based learning reaches even those students who do not have access to Internet. We will be working with people working for different industries with diverse skill sets to produce contents on large scale and varied subjects. We will be setting up an office and a studio for our video production to make high quality videos. We will be producing videos in other major Indian languages too. Does that sound too ambitious? No, we aren’t ambitious but sincere and passionate. 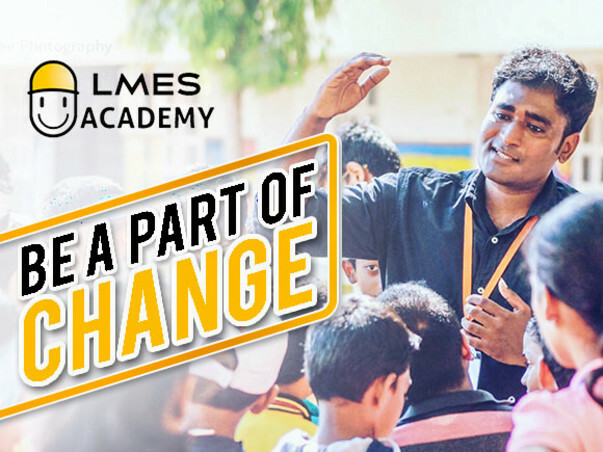 And that passion gave birth to “LMES Academy”. We are quite happy to share this news with you. We believe people want exactly what we want in our education system. All that we request from you is to empower us to make this big thing happen. 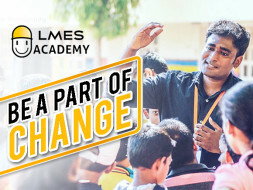 We have launched our official website www.lmesacademy.com. Please surf through our website to get more understanding on our vision and mission. And if that resonates with yours, please help us with the funding for our dreams to come true. This is what we are and will be doing via LMES. The videos that we have published so far are the standing proof. Help us do more of this and in a large scale, if you believe in our ideology and cause. We are glad to update you that we started the development of the video production, there are 5 content developers and 4 post-processing technicians are involved in the production. The funds raised through this campaign is used for the purpose of setting up the work space and equipment for the video production team. Now we are moving from setup phase to the production phase, so we are closing this campaign and starting a new one for the ongoing video production support. Thank you for your love and support. This means a lot to us. Everything is going well now and the video processing is also going in full swing. We are all extremely thrilled with the work we're doing now. We shall keep you posted. Thank you again!